Usually when we camped we could see, almost immediately, the silhouettes of approaching Mongols black against the evening sky. Where they came from we could never guess. For miles there might not have been the trace of a human being, but suddenly they would appear as though from out the earth itself. Perhaps they had been riding along some distant ridge far beyond the range of white men's eyes, or the roar of a motor had carried to their ears across the miles of plain; or perhaps it was that unknown sense, which seems to have been developed in these children of the desert, which directs them unerringly to water, to a lost horse, or to others of their kind. 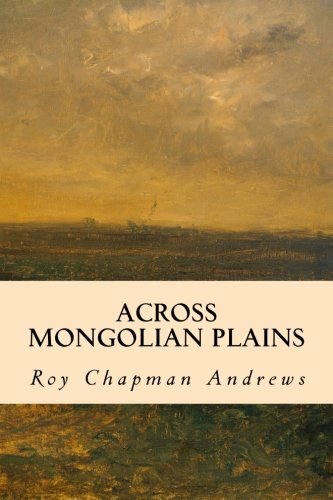 Be it what it may, almost every night the Mongols came loping into camp on their hardy, little ponies.